Our respiratory therapists provide a range of services, from helping patients with bronchitis to breathe more freely to evaluating and treating children with asthma. Respiratory Therapy services are those services that help people breathe. At CVMC, these range from helping patients with bronchitis to breathe more freely to evaluating and treating children with asthma in the Emergency Department. Our Respiratory Therapists are also trained to help people quit the tobacco habit. Find out more about how to quit tobacco under the "Learn More" tab. All respiratory procedures and diagnostic testing requires a physician order with the exception of Smoking Cessation Classes. Under the direction of the CVMC Medical Staff, our Respiratory Therapists provide care to both inpatients and outpatients. Sampling and analysis of blood samples to measure adequacy of oxygenation and ventilation (blood gas samples). 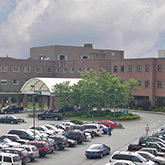 Accreditation: The CVMC Blood Gas Lab is fully accredited by the College of American Pathologists. Our Respiratory Therapists are valued members of the healthcare team. They have specific training in assessment of respiratory problems and in managing the technology that is available to help patients who are having breathing difficulties. Respiratory Therapists work closely with physicians to assist in the diagnosis, treatment, and management of patients with pulmonary (lung) disorders. Our Respiratory Therapists are also trained to help people quit the tobacco habit. BURLINGTON, Vt. - Rich Hinchliffe from Central Vermont Medical Center discusses vaccinations, causes, symptoms, tests and treatments for whooping cough. BURLINGTON, Vt. - Rich Hinchliffe discusses obesity and the pulmonary system. Annual medical cost for this preventable disease is $147 billion. Cost per obese patient is $1429 per year more than a normal weight person. Nearly 1/3 of American adults are considered obese. BURLINGTON, Vt. - Why do people feel tired and have low energy all day? It could be from obstructive sleep apnea. Respiratory Care Practitioner Rich Hinchliffe talks with Ali Freeman about signs, symptoms and treatments. He also brought a CPAP machine to demonstrate how to alleviate this problem. BURLINGTON, Vt. - Chronic obstructive pulmonary disease or COPD kills millions of people every year. As Baby Boomers age, COPD has become the third largest cause of death in the United States. Richard Hinchliffe of Central Vermont Medical Center tells us more about COPD and how patients with severe breathing problems can improve their quality of life. BURLINGTON, Vt. - While most just think of allergies as sneezing and itchy, watery eyes, specialists say breathing issues can spring up this time of year stemming from the changing of the seasons. "There's allergic asthma and non-allergic asthma. It's the allergic asthma that we have to worry about now that spring is approaching." says Richard Hinchliffe a registered respiratory therapist.